This little 3-channel problem solver features 12V phantom power and an LF cut on each channel. Mono balanced XLR and 1/4" headphone/aux outs give it flexibility for lots of applications. Runs on batteries or optional adapter. 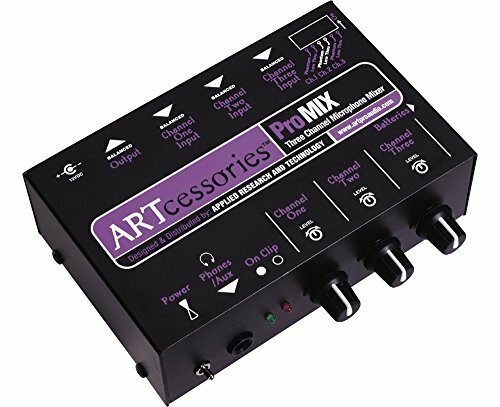 The ART ProMIX Microphone Mixer is a little 3-channel problem solver that features 12V phantom power and an LF cut on each channel. Mono balanced XLR and 1/4" headphone/aux outs give it flexibility for lots of applications. Runs on batteries or optional adapter.